QUESTION: Can you define cycle inversion and answer the below? 1. What are the specific requirements to confirm a cycle inversion? 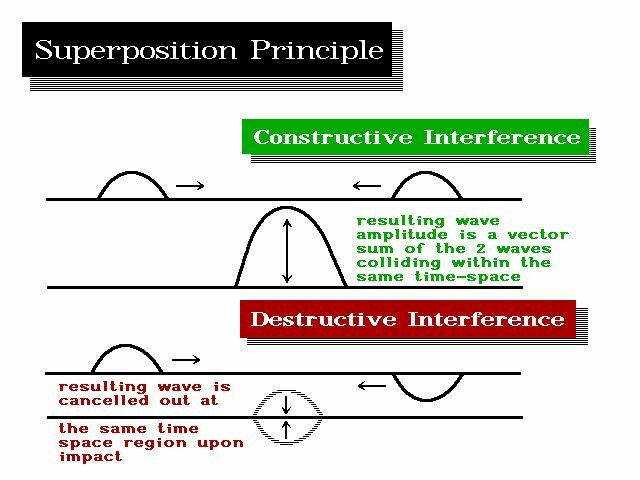 I have found three elements discussed in the writings, but I am somewhat unclear whether all must be present to confirm a cyclical inversion. i. The period following the turning point must close higher than the prior period. ii. The period following the turning point must exceed the high of the prior period. iii. The period following the turning point must not breach the low of the prior period. 2. 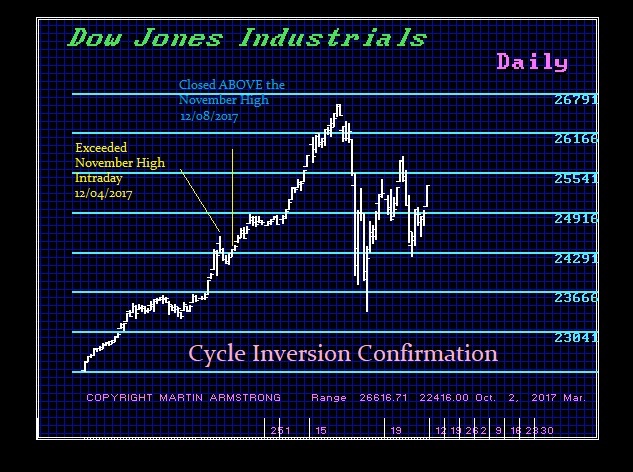 Can a cyclical inversion be confirmed beyond the month immediately following the turning point? Notably, the turning points referenced above have been evenly spaced, each separated by a single month. What if each of the turning points were separated by 5 or 6 months? Could a high on Month 3 (which is not itself a turning point, but rather mid-way between two turning points) indicate a cycle inversion? Wouldn’t a high on Month 3 (which is not a turning point) suggest an error in the array? ANSWER: In the immediate instance, simply exceeding the January high would imply the next turning point would invert into a high. Corrections are confined to a maximum of 3 timing intervals, which means April. A failure to make new highs and a penetration of the February low after April would imply a correction moving into probably July. Just exceeding the January high intraday MAY BE good enough to qualify as a cycle inversion, but typically you need to CLOSE ABOVE it or it could be just a double top formation. The same is true in reverse with lows. You can normally assume a cycle inversion once that event is exceeded or broken on a closing basis. We previously warned that exceeding the November high is December would lead to a January high. That confirmed the Cycle Inversion. The same will be true with respect to the January high. The only time an Array would appear to be wrong where the TOP line fails to produce a definitive turning point tends to be when there is a Directional Change say the month before. A Directional Change can influence and become dominant. However, this is usually when a given market is being influenced by another. A major panic in one important economy can become a SUPERPOSITION influence distorting a local market by a more dominant global trend. This is still rare. The Array typically picks this up in advance. The Array can change shifting the turning point from one month to the next because of such a Superposition Principle. This will really have to be answered in a more detailed report on cycles.